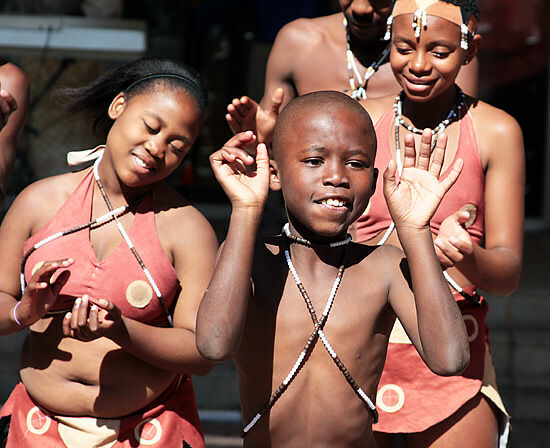 I sat in the Jozi Fashion District yesterday, watching a group of kids perform a traditional Tswana song and dance to celebrate Africa Day. As I watched the dancers I started to cry. Not just a tear or two. Serious crying with tears rolling down my cheeks. It’s been a while since that happened. I want to try to explain — to the people reading this and to myself — why I was crying. My life has been so busy lately. I run from one meeting/tour/boxing-workout/rooftop-walk/book-researching-mission to the next, having an unbelievable amount of fun and marveling at the extraordinary nature of my life. Wondering how any of it could be real — how I could have accidentally stumbled into a life so well-suited for myself. Also feeling vaguely anxious about all the tasks I should be accomplishing that I haven’t gotten to yet. Five years ago I was living in a townhouse in suburban Virginia, married to a nice guy, commuting to a 9-5 job in a cubicle in Washington D.C., and trying really hard to convince myself that I was happy. On the outside I looked and acted “normal” — like I had it all. On the inside I was struggling against a nagging fear that I had it all wrong. 1) I came to be with my South African boyfriend. I moved here in August 2010, because of Jon. I left my husband, sold my house, quit my job, and ran away across the world to be with a man who I passionately loved. It was romantic and cruel and brave and crazy. Looking back, I can hardly believe I did it. I have no regrets but I’m also not proud of what I did. I hurt a lot of people, including myself, in all that chaos. I’m still trying to forgive myself for it. I arrived in South Africa and everything was wonderful. I was in love and I thought that was all that mattered. Jon was the center of my universe and I was the center of his. I started discovering — by accident — that the country and city I had moved to were really awesome. I started discovering that I was good at blogging and photography. But those discoveries were on the periphery of my consciousness. The biggest sections of my brain, of my heart, of my entire being, were reserved for Jon. This phase began long before Jon’s actual death. In fact it began long before I came here, long before Jon and I ever even met. But from my perspective it started a few months after I moved, when I began to realize that as much as Jon loved me, he loved alcohol more. Painful, but true. This is the nature of addiction. There was a long period of insanity, when I tried desperately to turn the tide of Jon’s illness. No matter what I did, it got worse. Then I realized Jon’s addiction wasn’t about me and I couldn’t do anything about it. So I let go, to the best of my ability, and hoped Jon would get better on his own. He died in December 2011. Then there were months of agony, grief, denial, blaming, self-hatred, and — above all — fear. The slow realization that I was alone, without a man, for the first time in my adult life. Not knowing what to do with myself when I didn’t have a relationship to lose myself in. Trying, way too soon, to get into another relationship, because that was the only way I knew to keep the fears at bay. Realizing that even though Jon’s addiction was gone from my life, I had my own demons to deal with. Then finally getting myself some help. Amidst all of this, I kept exploring Joburg and enmeshing myself more deeply into the fabric of the city. I kept blogging and taking photos. I never considered leaving, but I also didn’t make a firm decision to stay. It’s been a year and a half since Jon died and close to three years since I moved to Joburg. Up until recently I was feeling pretty lost. To be honest, I still feel lost a lot of the time. But a few months ago, I woke up one morning and realized what I want to do with my life. I want to live in Joburg and tell the world about it. I want to make a living out of living here. And that’s what I’m going to do. Looking back on everything that’s happened, it seems obvious. Everyone who reads my blog probably knew what I wanted before I did. But here’s the thing: For my whole life, I couldn’t see what I wanted or needed because I was so focused on the wants and needs of others. Now that I’ve been forced to look inside myself, I’ve seen it. I don’t know if this will make sense to anyone but me. But at least I understand now why I was crying yesterday. I was crying because I love this city, this country, this continent. And I love my life because it’s mine. I don’t know how many more posts I’ll write about Jon after this. I still think of him and miss him every day. Jon is why I came here. But this blog, and my life, are about me now. And that’s why I’m staying. Thanks Jon. And thanks Jozi. I wish I could see you today to deliver them personally. Ahh, you made me cry too! 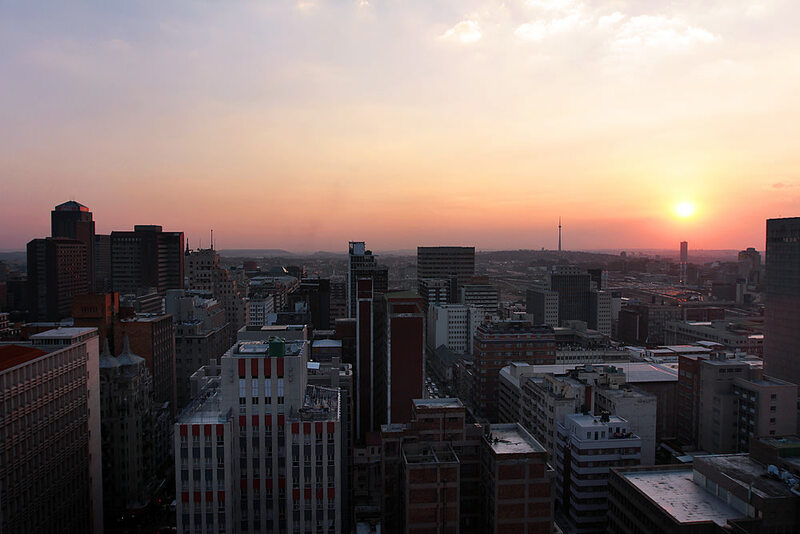 Thanks for sharing your Jozi love. I’m so glad you stayed. It all makes so much more sense when you realise what you need to do. I think I’m finding that too. Really a very great post! You can be proud of yourself for finding your purpose. I am very grateful for your blog! Just keep it up your great spirit! You are nice. 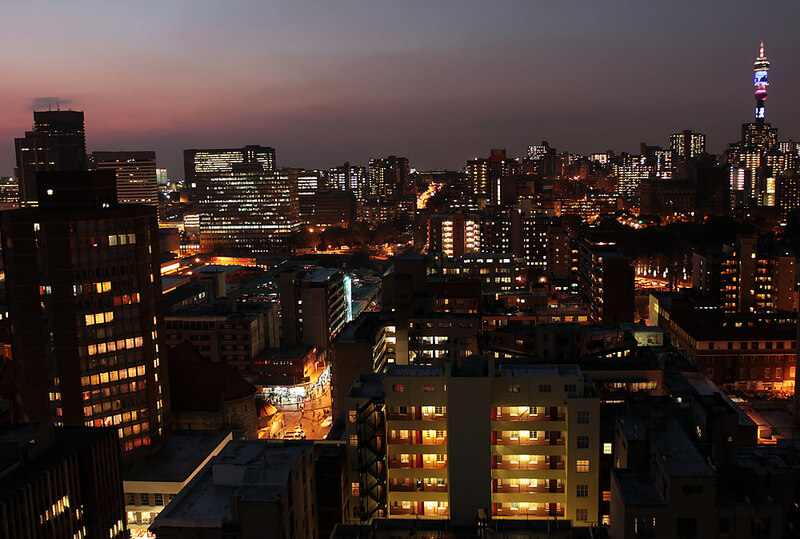 Joburg is much richer for your staying… and I think the city we all love is beginning to pay its debts to you. Thanks, this was a very moving post. Thanks Chuck, I really appreciate that. See you around Melville soon. I met you in the DC days and I can honestly say that you have done something very few people have the courage to do. You have listened to and honored your own spirit and followed your path. You inspired me to have the courage to make the changes I needed to make in my own life, through this blog and knowing your journey. I am in a better place too. That you did all this in my special corner of the world makes it even more special to me. Another cryer to add to your list! Don’t exactly know why, but I was very touched. Thanks Ingrid. I miss you! Hope all is well in my home state. We’ve all watched you bloom. You’ve obviously found the right soil and sunshine for you. This made me cry too! Thank you for highlighting the beauty of ths city to us all. People often ask what makes South Africa special, and it is so difficult to explain to someone who has never been here. And sometimes I think that you can only really love this country if you were born here, but you proved that it is not true! Yep, foreigners love South Africa as much as the locals do 🙂 Thanks for your comment and for reading so regularly! Just to get them here! We love you and we’re so glad you came to South Africa. And stayed. From awkward moments on WhatsApp to awkward moments in person, it’s such a joy to have you around. Thanks Fonzie. This is a very nice comment. I’m glad I met you too. So beautiful. Courage to CHANGE! You are right where you are meant to be! Enjoy the journey, you deserve all the good things you have attracted to your life. You are special! I have to say, I’ve read your blog for a little over a year now and you seem to get stronger in spirit with every post. I don’t know if you’ve noticed but in your writing and blogging you seem happier now than when I first started reading. I too, left one man for another and followed the second man to a new state and a huge city to start follow my heart. The relationship didn’t work but I stayed in the city because it felt right, it felt almost magical in a way, and while I was alone in this city I feel like I really grew to understand myself more than I had before and to trust that I knew what was best for me (scary!). So your post felt very real to me and I understand clearly the emotions you are trying to express. I’m married now and moved back to my home state for my husband’s job (it was hard!) but I don’t regret the choices I made, painful or otherwise. You are brave and very courageous to move across the world and stay, but it sounds like you’ve found your place. 🙂 Bravo! What a brave, honest and heartfelt post. I’ve been reading your blog on-and-off for a year or so and this piece feels a bit different, it is very well-written yet still a bit raw. I really enjoyed reading this post. Thanks for sharing. I also want to mention that I love your photos, you make the city and the people so beautiful. Thanks very much, Sally. I really appreciate the comment. I’m also glad to hear that I’ve inspired you and that you particularly enjoyed this post. I was feeling like my blog has been really focused on “surface” things lately and I wanted to write something about how I’ve been feeling. It’s not an easy thing to do but I always feel better after doing it. I’m a new reader to your blog and check in ever so often for new posts. I was really moved by your story and we should all feel so blessed to have someone as special as you live among us. I hope that we all make you feel very welcome and loved! Something that stuck in my mind even after reading this earlier today – “On the inside I was struggling against a nagging fear that I had it all wrong”. I think most of us struggle with this from time to time, good for you that you made the change! Thanks Anthony, I’m glad you’re enjoying the blog. I appreciate your comment! That was a great and truthful post. We haven’t known each other for very long, but I feel we are closer because of your blog writing. It makes me feel as if we were having a chat even when I’m 10 hours away. I have thought, when I last saw you, that you have found your niche, your place and purpose. Must be a great feeling. Haha, you’re right. I seem to have mislaid my voice for the moment. I am sure I will find it again. Last two sentences: PERFECT! Good for you. And this all makes a whole lot of sense, especially to those millions of us on this precious planet who have also shared life – or tried to – with an addict or alcoholic. What’s a little different about you is that you have an ability to communicate your journey clearly, and with feeling. I hope you keep doing that, for our sakes. Thanks so much, for this and all of your comments. I’m glad you’re enjoying my blog and that it makes sense to you. It’s great to know that other people understand. Hi there. Came across your blog via the article you wrote in joburg style in the june-august addition (i was at JAG today and they had some outdated issues lying around…) This post really touched a place inside my soul, as i, like you, have really found myself here. I am an american living in the west rand. I havent come across anyone who has actually written my feelings, pretty much ever, and about the picture you posted, i knew exactly what you meant. I feel encouraged that there are expats out there that dont just live in santon, and try and bring american with them, or that arent “voluntourists”. Anyway, just wanted to connect and say i appreciated this post and your blog in general. Thanks for sharing. Thank you, Meredith, for such a lovely comment. It really means a lot. And I’m glad you feel the same. this is genuinely beautiful. i lived in melville for 10 years, moving a year or so ago. i came to the blog because Cobi is a friend and Jose pointed me to your store review. instead, i found a very, very moving story, a love story. thank you so much for letting me in. Thanks so much Dael. I really appreciate the comment and I’m glad Cobi and Jose brought you here. I discovered your blog last week whilst doing some research on tourists/immigrants who decide to stay in SA. Just reading this page gives me such intense goose-pimples. Your courage and honesty are really inspiring. My career just took off this year… and I too feel this deep, nagging desire to just go ahead and drop it all for what my heart truly yearns for – creating music & seeing the world. It’s bloody scary, but as you’ve found, it’s absolutely worth it. Thanks for sharing your story… be comforted by the fact that, by telling your truth, you embody the light and courage that others may be needing to inspire the leap into truth-living in their own lives. I would like to get in contact with you & any other expats you may know to ask some questions about your life in SA. Thanks so much, Bongeka. Comments like this really mean a lot to me. Feel free to contact me on my “Contact” page and I’m happy to provide you some feedback. I accidentally found your blog from liking a picture on Instagram. I was curious, so I clicked, ‘yes’ to open in safari. I am also American, I lived in Cape Town for 3 years. I too came to South Africa for a man. He was a photographer/videographer and he encouraged me to be the same. I didn’t know him long, but I knew I loved him. I uprooted my life and tried to build one with him in it. For me, our relationship ended quickly, but looking back it must have been on his mind for months. It was swift and violent and rage filled. It left me with my head spinning wondering if what just happened was real. I tried to stay in Cape Town but visas got difficult and in November I left. I’m left with a love/ hate relationship with South Africa. How’s it’s so beautiful and welcoming and cruel. Anyways, I felt connected when I read your posts and wanted to say thank you for writing them. Wow, thanks Whitney for this comment. Seems like we share a lot in common. I’m sorry about what you went through – it sounds very hard. What a lovely, heartfelt entry. It’s so wonderful to read things like this from another American. So far I am loving almost everything about South Africa, but I can’t say that I don’t have trepidation also. It’s so uplifting to read about your experiences here while getting to know the city. Your blog is quickly becoming some of my favorite reading material. 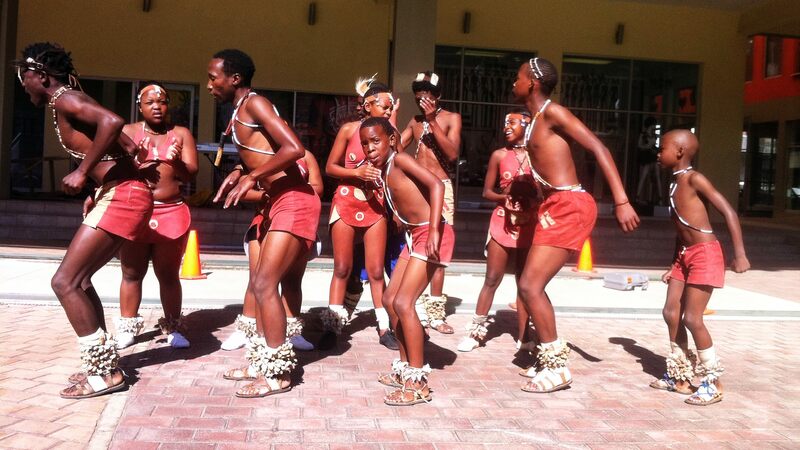 We have a similar past (before we met up with the South Africans that we love)….. So I hope to be able to share some of that with you face-to-face! I know this post is a few years old but I only came across your wonderful blog today. My dad drank himself to death when I was 14 so I know the heartbreak of someone you love loving alcohol more than you. It’s devastating and I’m so sorry for your loss. I’m glad I found your blog – I think your adventures and the risks you’ve taken to make them happen are fascinating! Oh, thank you so much for this comment, Cat. Alcohol kills so much more often than most people realize. I’m sorry for your loss, too. And thank you for reading my blog.